Could Sears’ demise spell doom for malls? A possible Sears bankruptcy could mean the end for the 125-year-old retail legend and yet another headache for the nation’s shopping mall owners. A Sears bankruptcy could leave malls already dealing with the loss of major tenants like Carson’s with massive amounts of additional vacant space. Even worse, the malls would be losing an anchor tenant that for decades has successfully drawn shoppers to malls, according to a report in Crain’s. Sears is just the latest retail giant that’s struggled to adapt to the rise in e-commerce. With the company in debt more than $5 billion, Sears executives this week began preparing for a possible bankruptcy filing, leaving the future of its 900 remaining stores in doubt. 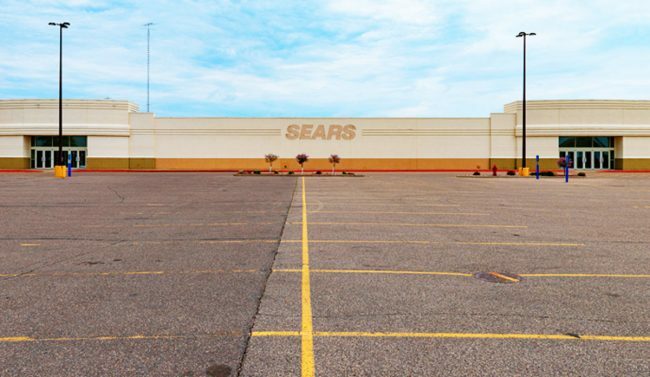 A bankruptcy could lead to liquidation, meaning Sears would join Carson’s and Toys ’R’ Us among the bix-box retailers forced to shutter thanks to changing consumer habits. Malls are already feeling the crunch. The vacancy rate at malls nationwide hit a seven-year-high in the third quarter, and average mall rents slid for the first time since 2011. The closing of certain Sears stores was cited as one of the reasons for the high vacancy rate. The combined loss of Carson’s and Sears is leaving gaping holes at some shopping malls, which are having to get creative in order to fill the space. A mall in suburban Chicago, for example, is considering adding apartments, a hotel or medical offices. Some malls in markets like Chicago and Los Angeles have turned to co-working spaces and business parks to fill former anchor spaces.